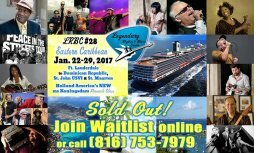 (MARSEILLES, FR) - A cabin on the European Blues Cruise is up for sale at a discount (only $1000!) 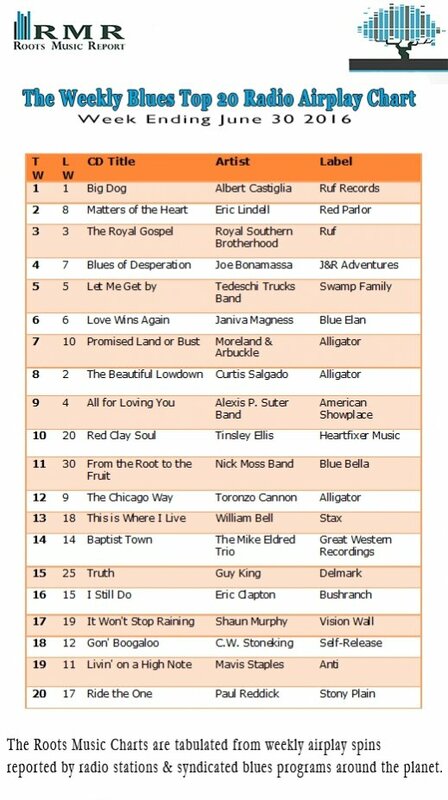 from your friends at the Blues Festival Guide. The Cruise sails Aug-27-2016 - Sep-01-2016 from Marseilles, France aboard the Zenith. Headliners include: Billy Branch, Eddie Shaw, Mitch Woods, Stacy Brooks, more! Call or text Kaati at 775 846 8238 for more details. 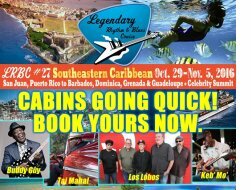 Click image for cruise details. 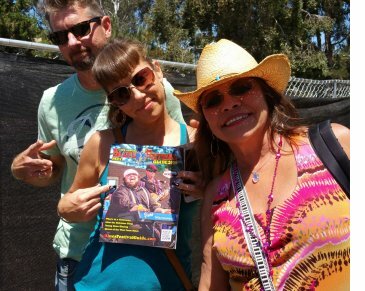 Here's San Diego guitarist Scot Smart, singer Mercedes Moore and ultra blues fan Marci Coyle at the Doheny Blues Festival, May 21, in Dana Point, California. 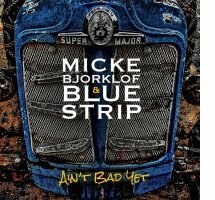 Ain't Bad Yet is the sixth album by the Finnish Blues Award-winning (for "Best Band") blues-rock group Micke Bjorklof (pronounced Be-York-Loaf) & Blue Strip. The record was produced by John Porter, legendary for his productions of Buddy Guy, B.B. King, Taj Mahal, Keb' Mo', Santana, and no less than 10 Grammy-winning albums. The band traveled to Rockfield Studios in Wales to Ain’t Bad Yet. The studio has played host to many of the world’s biggest artists from Black Sabbath to Rush and Oasis, and which, in 1975, was the primary studio Queen used for the recording of "Bohemian Rhapsody." "We're really excited about the new material and about this collaboration with John Porter," Micke Bjorklof says. Ten Miles of Bad Road, recorded at Ultratone Studios in Studio City, CA with Grammy-winning producer Tony Braunagel is a powerful mix of contemporary blues, roots and soul performed by a killer session band including Johnny Lee Schell on guitar (Bonnie Raitt, Phantom Blues Band), the "Godfather of Outlaw Blues" Grammy nominee Alan Mirikitani (BB Chungking of the Buddhaheads) on guitar, James "Hutch" Hutchinson (Bonnie Raitt) on bass, Jim Pugh on piano and B3 (Robert Cray, Etta James), Tony Braunagel on drums (Bonnie Raitt, Taj Mahal, Robert Cray, Eric Burden, Phantom Blues Band), with special guest artists Kim Wilson of the Fabulous Thunderbirds on harp, Joe Sublett of the Phantom Blues Band on saxophone and Les Lovitt on trumpet. 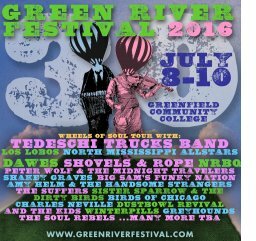 (Greenfield, MA) - The Green River Festival, Western Massachusetts' favorite music and hot air balloon festival will take place July 8, 9, and 10 on the grounds of Greenfield Community in Greenfield, MA. July 10 will feature Tedeschi Trucks Band, Los Lobos, and North Mississippi All Stars in the Wheels of Soul tour. Presented by Signature Sounds, the festival was recently deemed “one of 2015’s must see summer festivals” by Rolling Stone and one of the “fifty essential summer music festivals” by The New York Times. (Thunder Bay, Ontario, Canada) - The Thunder Bay Blues Festival is a world-class music festival that takes place on a beautiful location in Marina Park on the shores of Lake Superior - looking out at the famous Sleeping Giant. 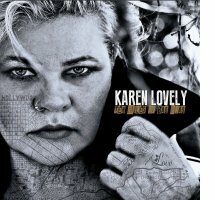 It features some of the best names in blues, roots, and blues/rock entertainment, while also showcasing the incredible base of talent that thrives in Northwestern Ontario. 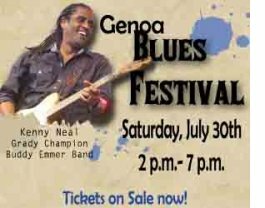 Over the past 15 years, the Festival has grown to the point that it is now respected as one of the best Blues Festivals in North America. 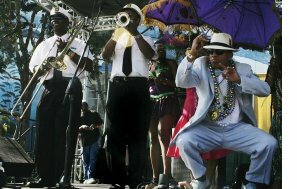 (Long Beach, CA) - When you think of Southern California the sounds and tastes of New Orleans and the Louisiana Bayou mixed with West coast Blues and soul may not come to mind, nor a social club called the La La’s decked out and leading a festive Second Line parade in a place called Long Beach. But in fact they are several such festivals in these parts and one special one in particular, The Long Beach Bayou Festival, was just held June 18-19, and was their 30th anniversary! Generally held over Father’s Day weekend, this annual event delivers on many levels especially on being laid-back and friendly yet, with lots to enjoy for everyone. For July 4th weekend, the time is right for a tribute to the greatness of America. And the greatness of its music. Particularly the greatness of its Blues. Chicago Blues. 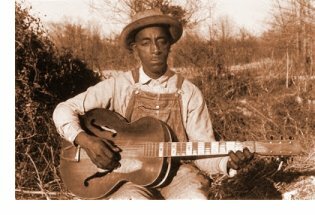 Delta Blues. California Blues. Piedmont Blues. Texas Blues. 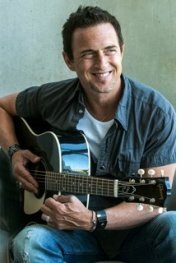 American music, from all ACROSS America. Next time in the Bluesmobile. 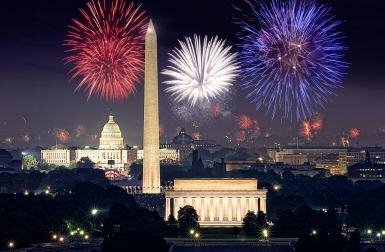 Happy 4th of July "Independence Day" America!